In the State of Texas, when a person dies without a Will, the Texas Estates Code sets out the rules of descent and distribution. In other words, the State has set rules as to who receives your property and in what shares. While this may be acceptable for a few, one size does not fit all. We believe every Estate Plan should be customized to better suit you and your family. Every client is different so not all documents will apply to each plan. Additional documents may be necessary to protect certain assets, such as Special Needs Trusts, Revocable Trusts, Irrevocable Trust, etc. 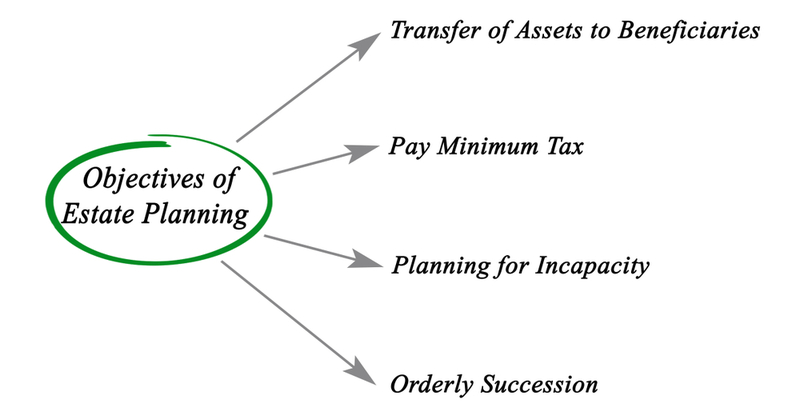 We can prepare an Estate Plan ranging from a simple will to more complex trusts. There are many reasons why individuals fail to create an Estate Plan. Young adults do not feel the need as they do not own property or believe they have plenty of time to get it done since they are so young. Middle aged adults tend to think they too have plenty of time. Older adults and the elderly sometimes believe their spouse will get everything anyway so do not believe a Will is necessary. For young adults just turning 18, you may not need a Will, but you should certainly consider powers of attorney. As young adults are preparing for college or moving to their own home, they don’t realize Mom and Dad can’t help them with doctor appointments or banking issues or paying bills if something were to happen to them. As minors, our parents took care of all that because they had a legal right to. Reaching the age of majority means they can no longer speak on your behalf. If you are moving to a new town or a new state, it is important to have documents in place before they are needed. It is also important to consider having a Will and powers of attorney in place if you have young children. As parents, we all want to protect our children and watch them grow. The sad reality is that sometimes parents die, whether due to disease or tragic accidents. Planning for these events in advance, no matter how young you are, will help ease the burden on those left behind. Having a comprehensive Estate Plan isn’t just for those individuals with wealth. It is important for adults of all ages and asset levels. As your life and needs change, so too should your Estate Plan. You have always protected your family and worked hard to leave behind a legacy for your loved ones. Shouldn’t you decide how that legacy should pass and protect them even after you’re gone? Contact our firm today to discuss your needs. It is not just a Will, it is peace of mind.